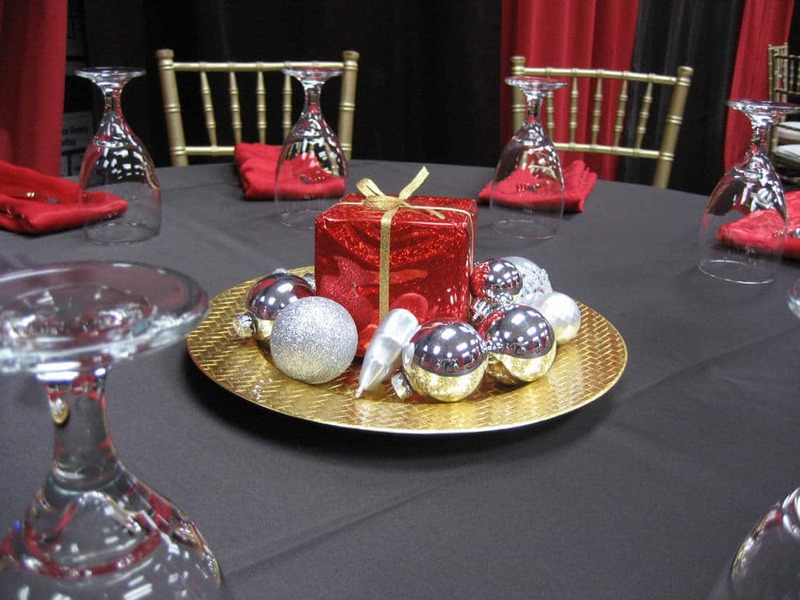 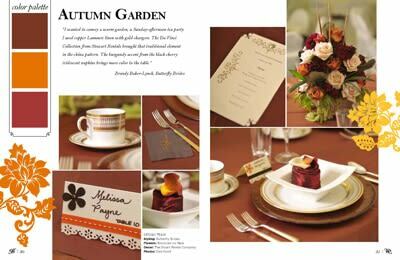 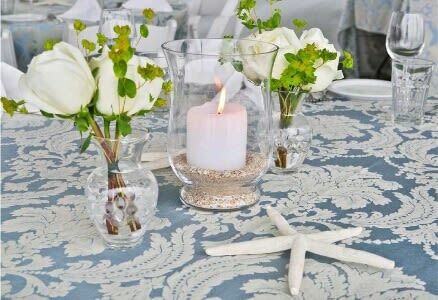 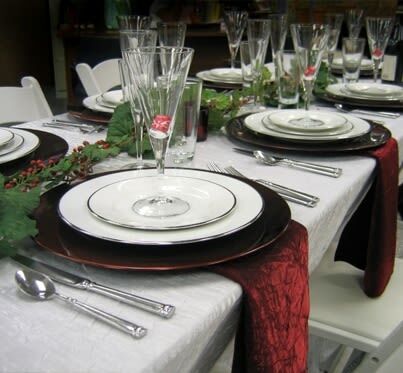 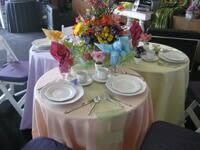 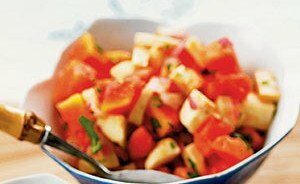 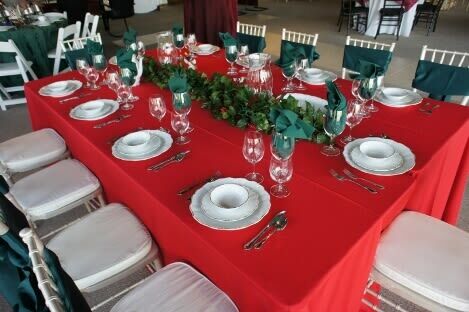 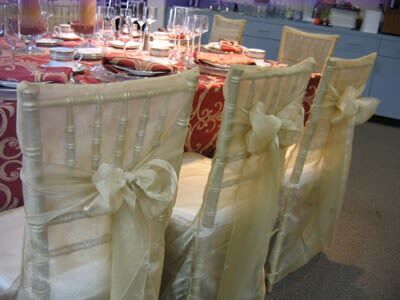 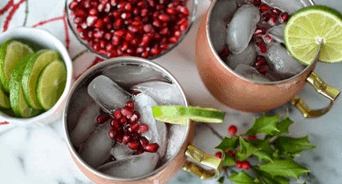 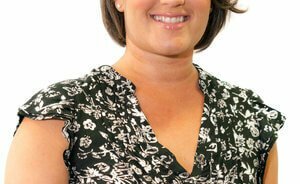 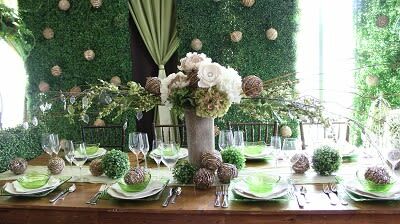 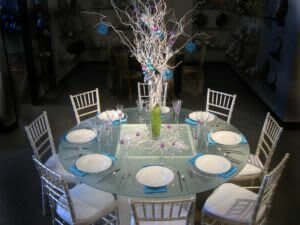 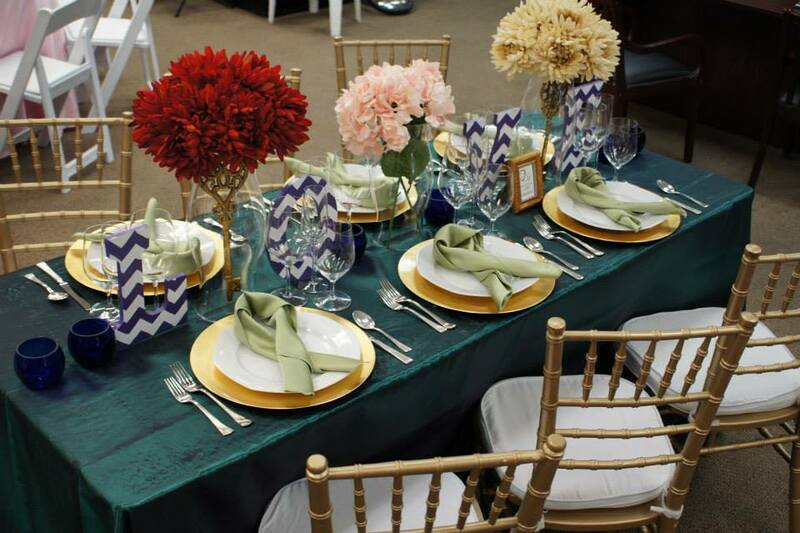 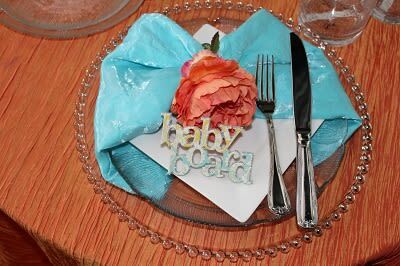 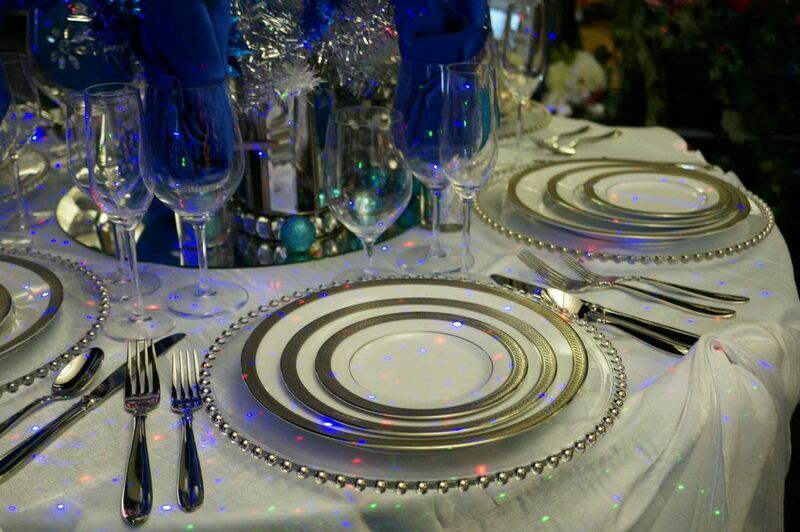 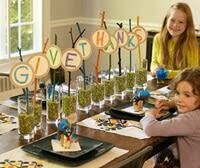 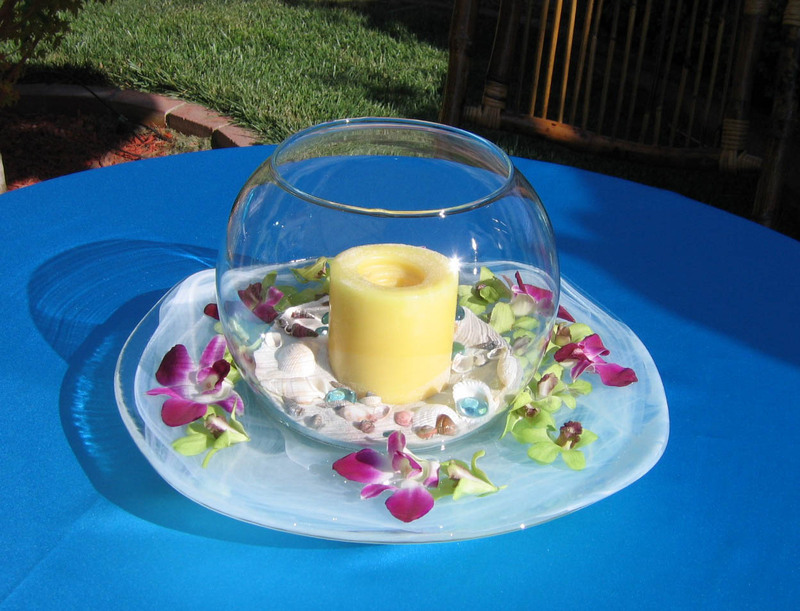 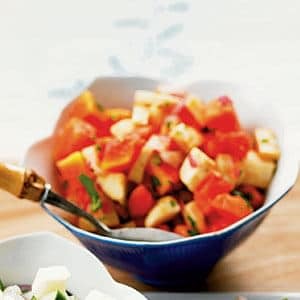 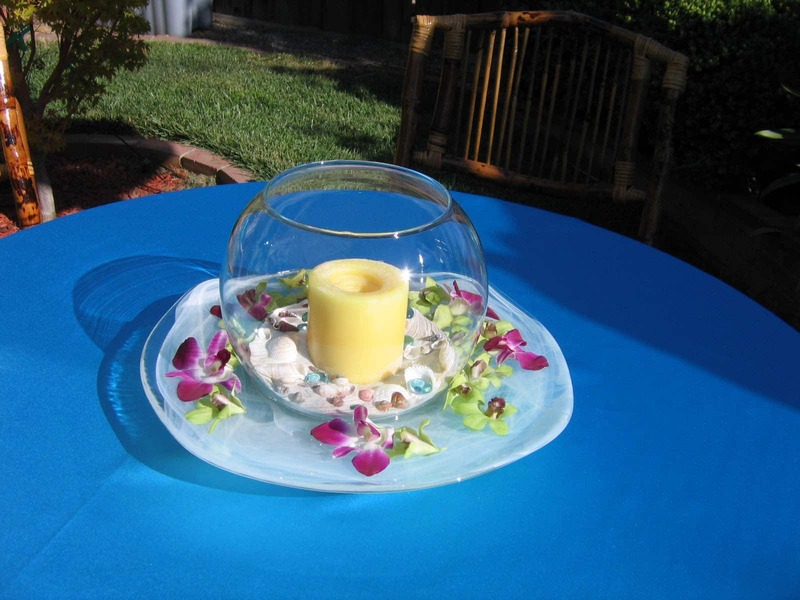 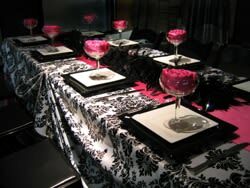 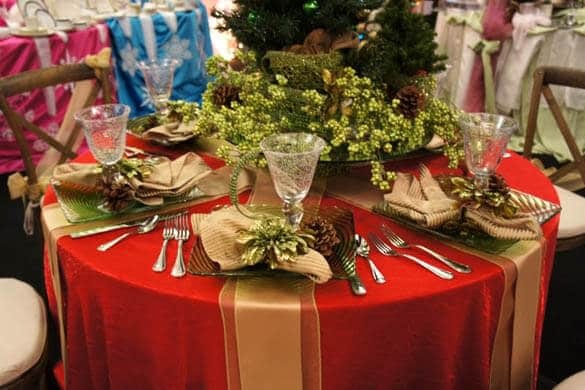 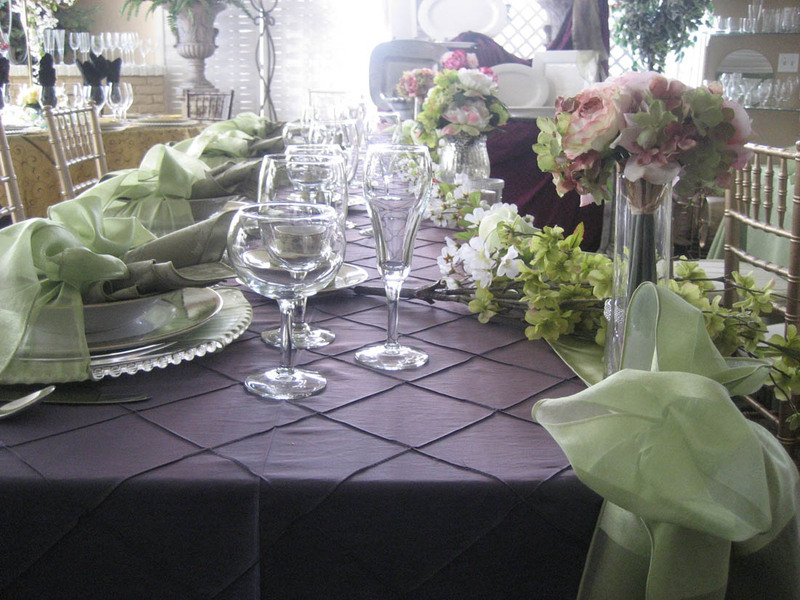 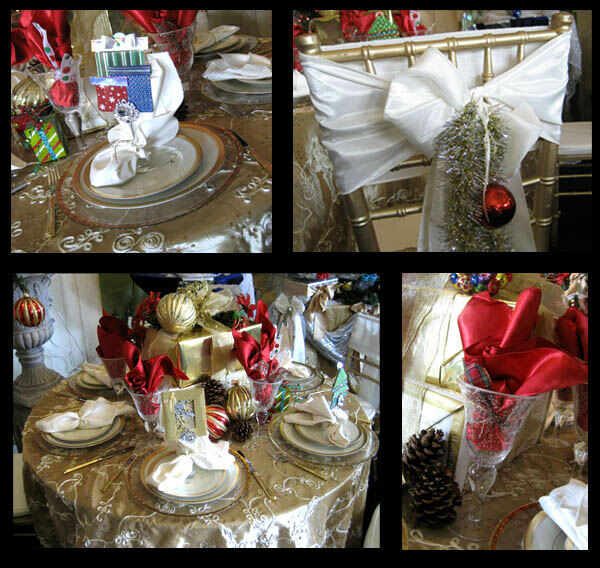 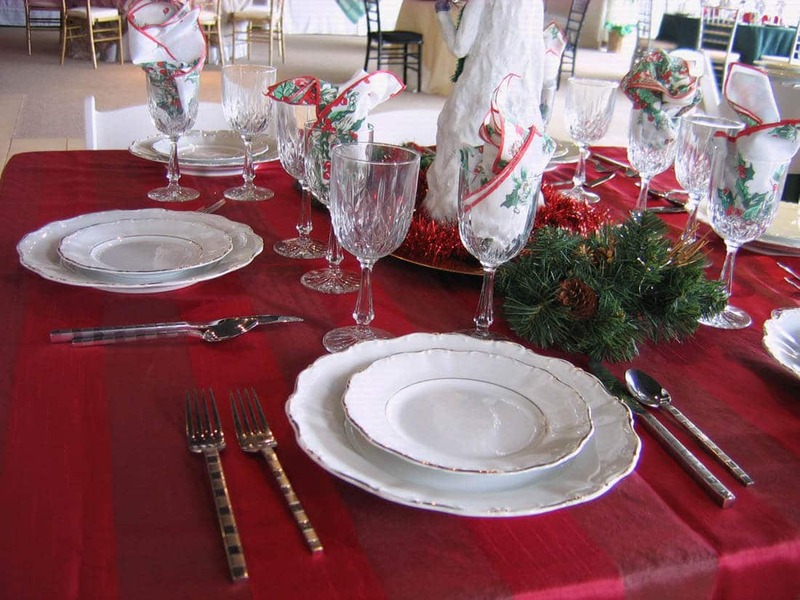 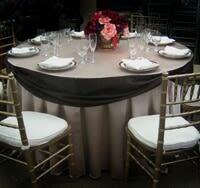 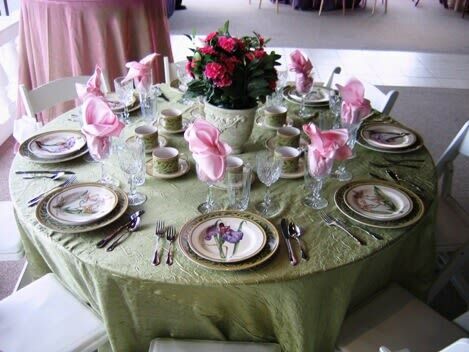 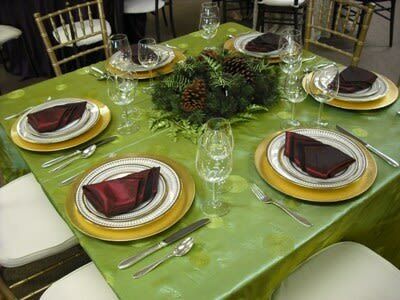 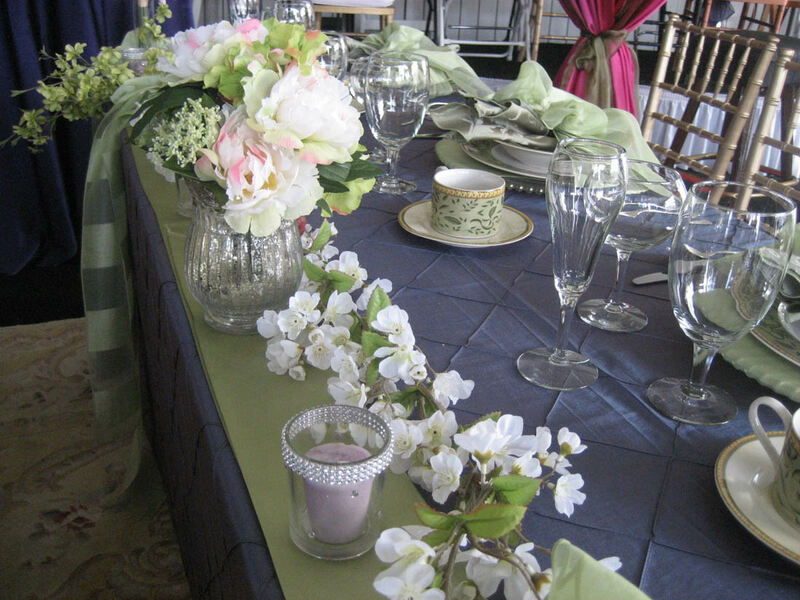 There are so many great resources we use to get inspired for holiday decorating and tablescaping. 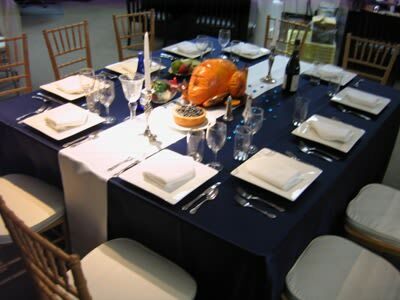 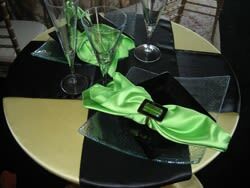 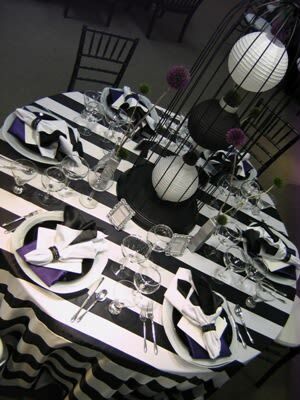 We’ve been scouting through the internet to find a variety of Halloween table designs that will suit your party style. 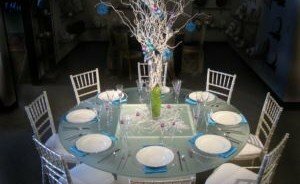 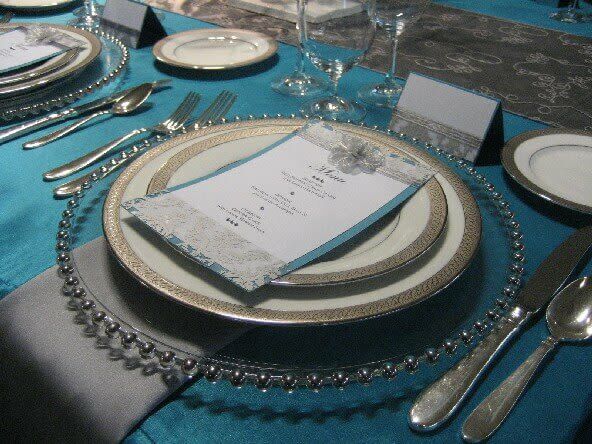 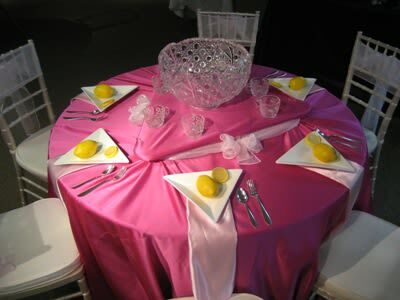 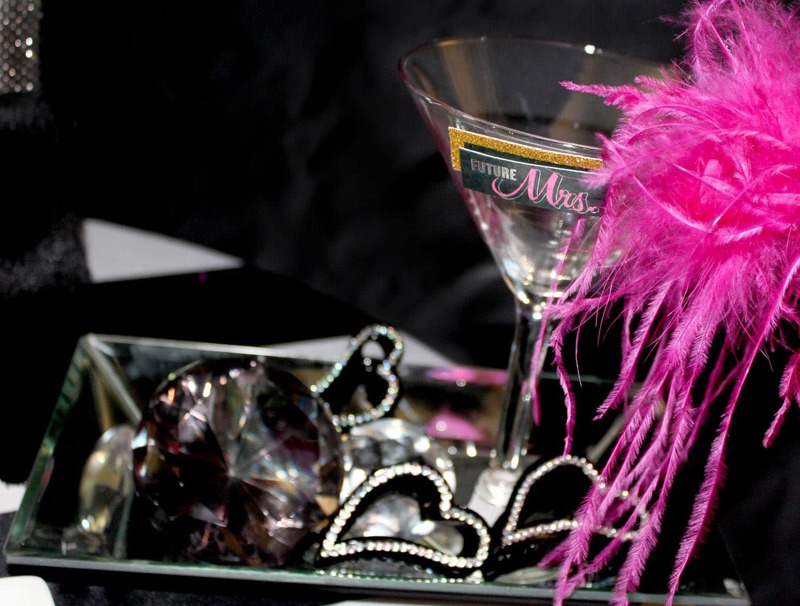 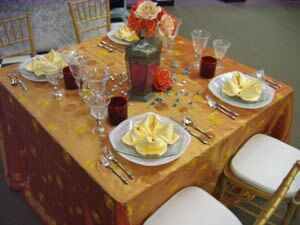 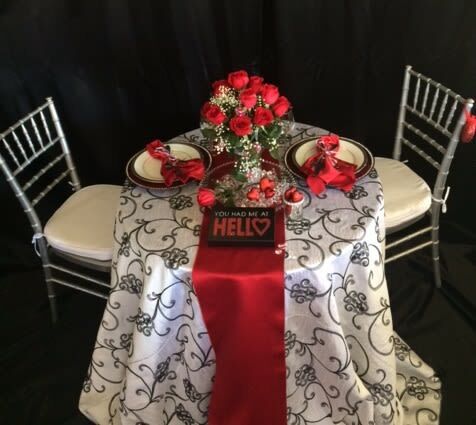 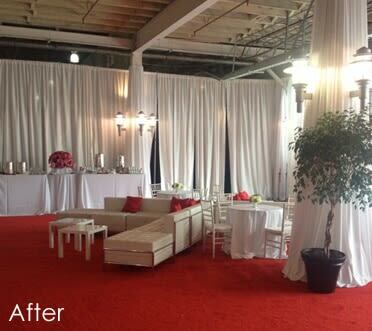 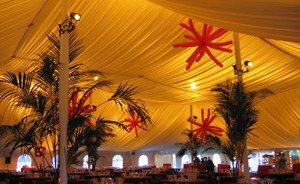 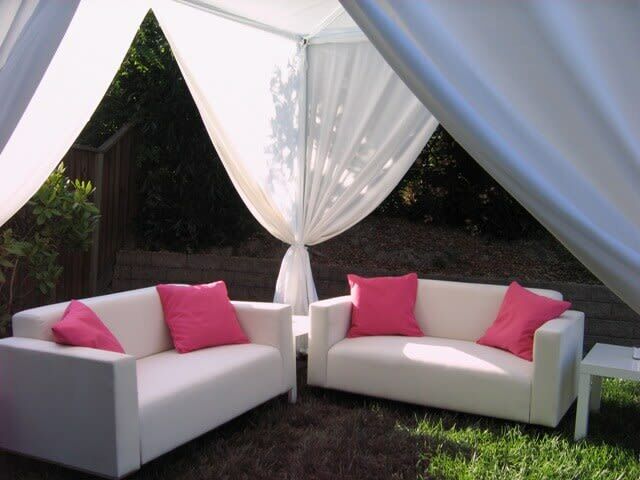 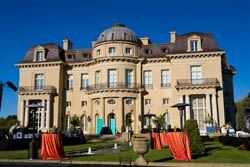 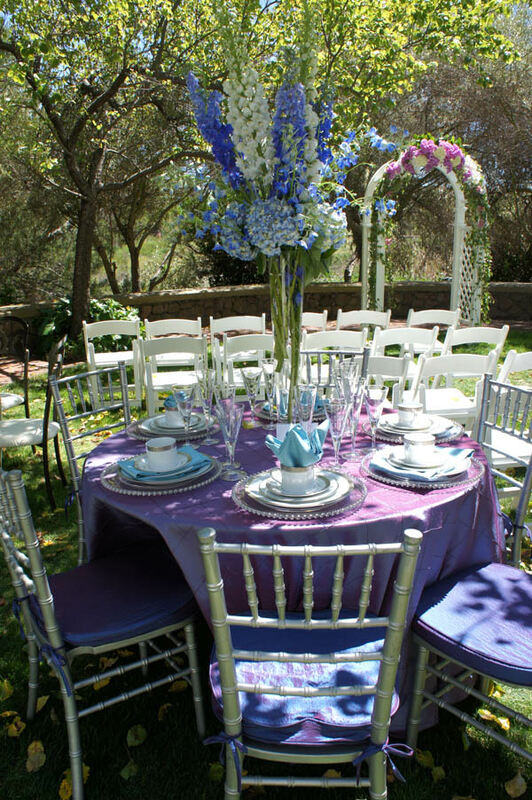 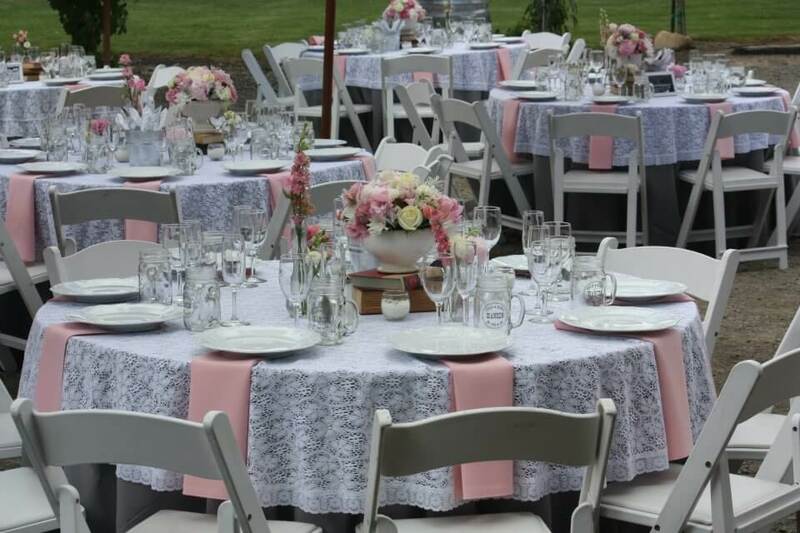 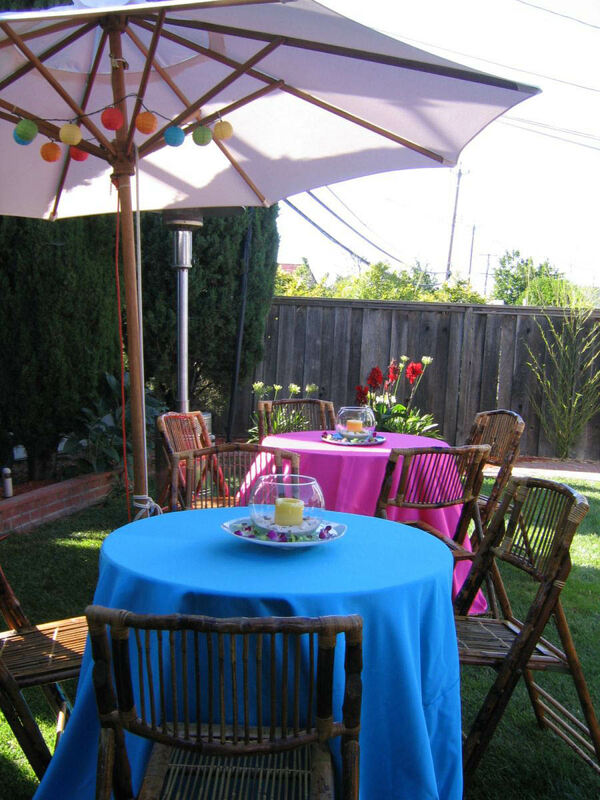 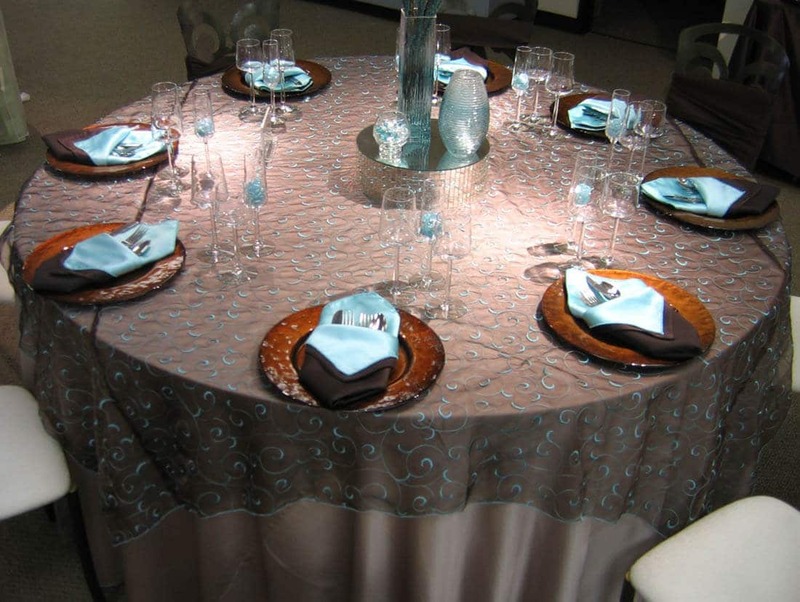 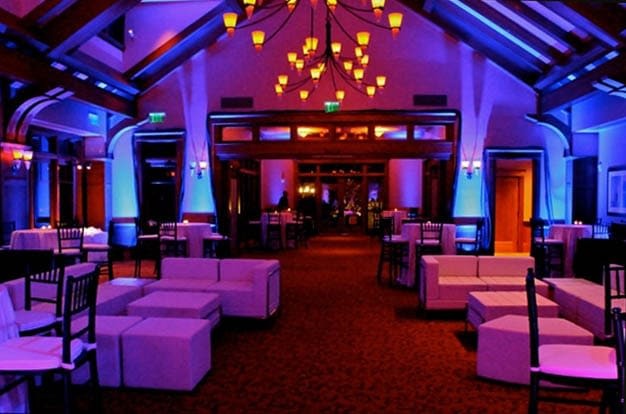 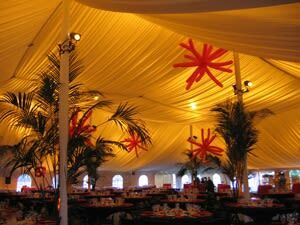 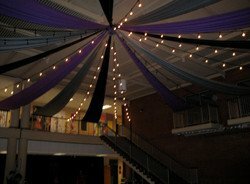 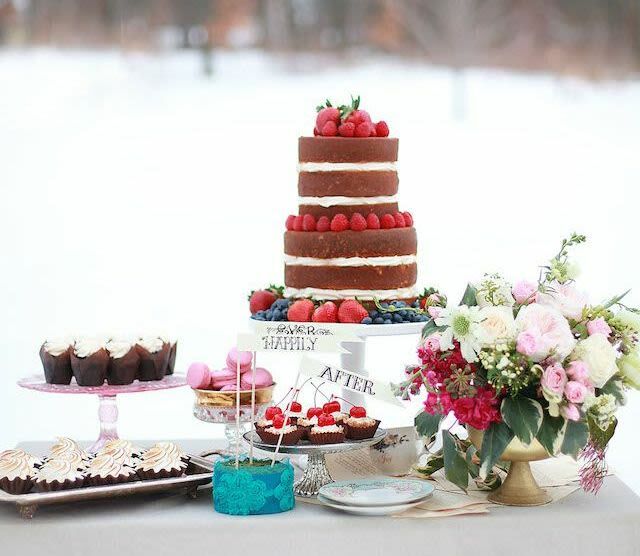 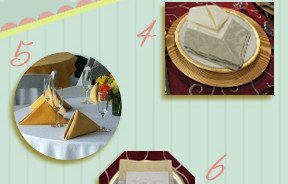 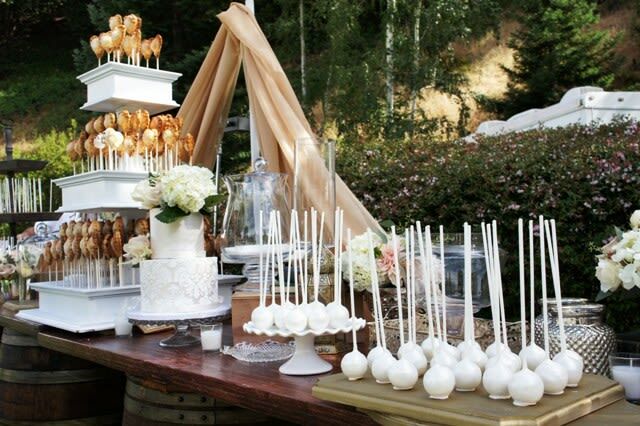 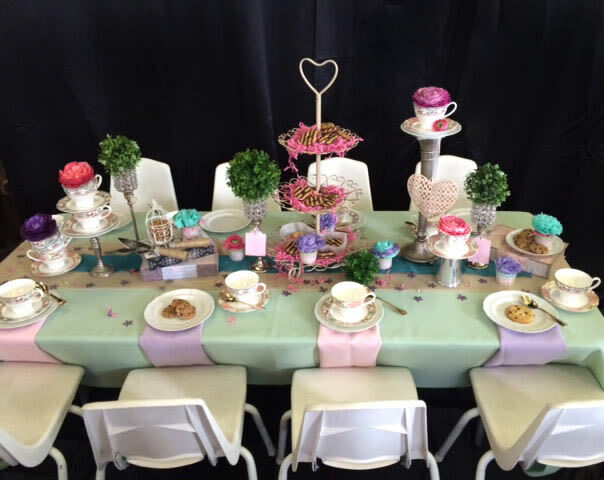 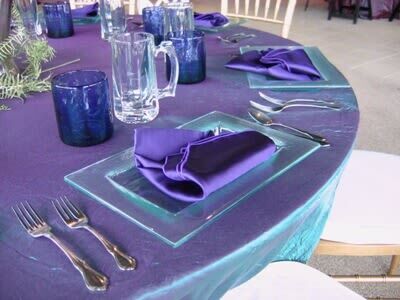 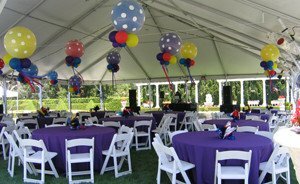 Check out the party rentals we suggest to achieving the look, but don’t forget that many of the most exciting looking designs require a creative, homemade touch! 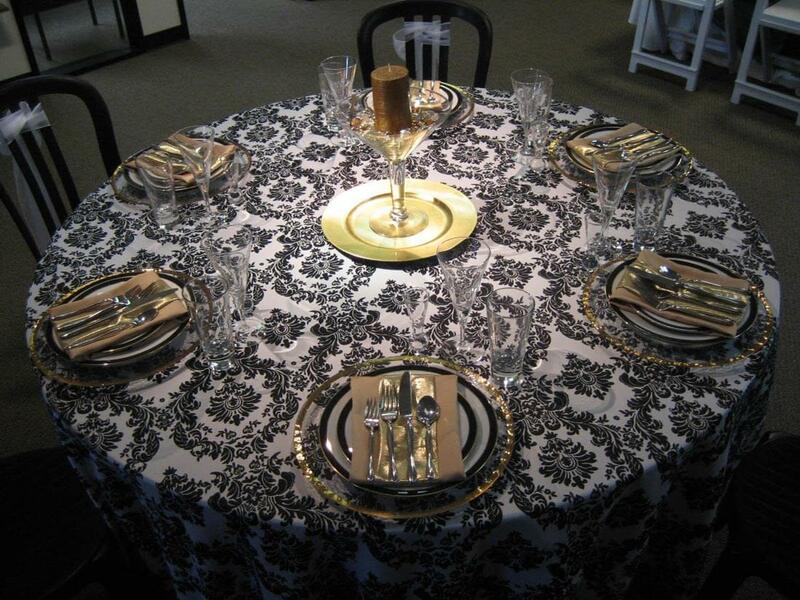 A combination of black, white, and gold dinnerware creates an eerie yet classic ambiance. 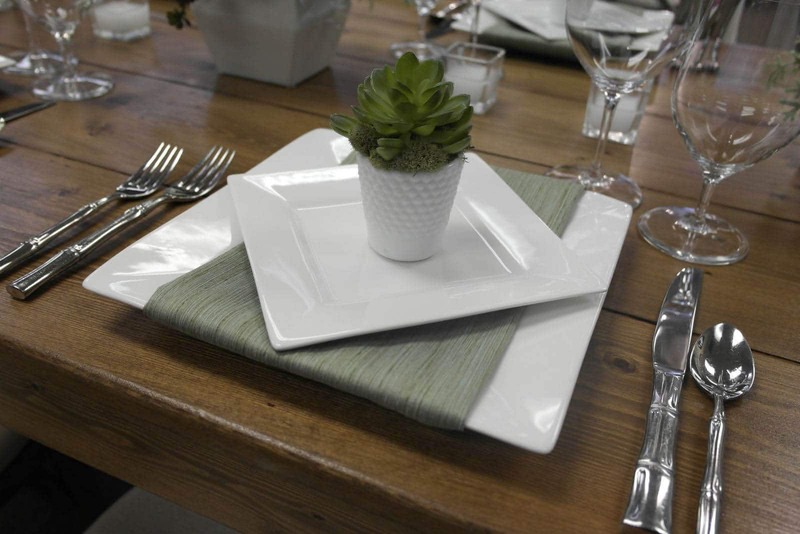 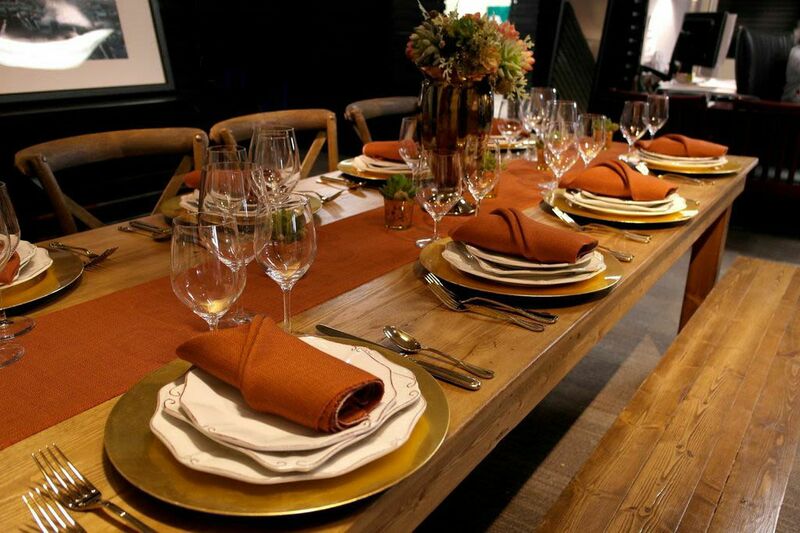 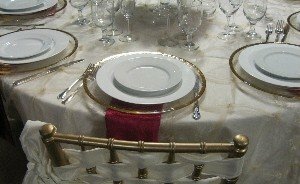 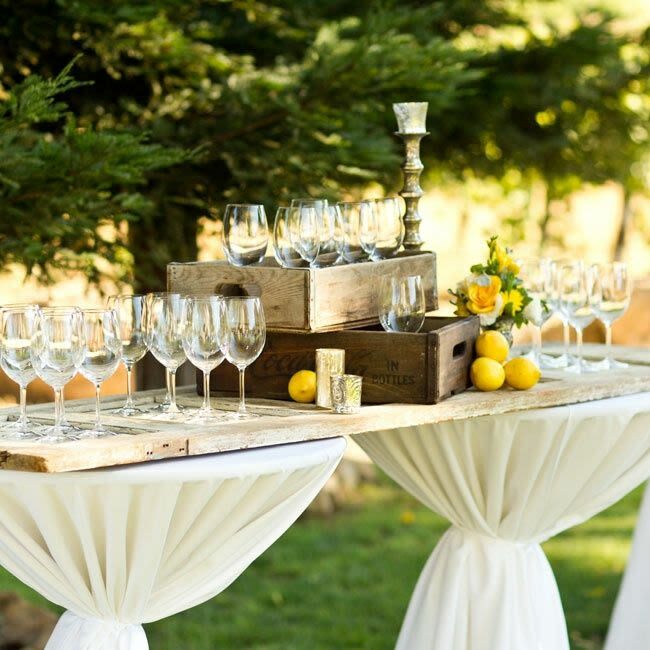 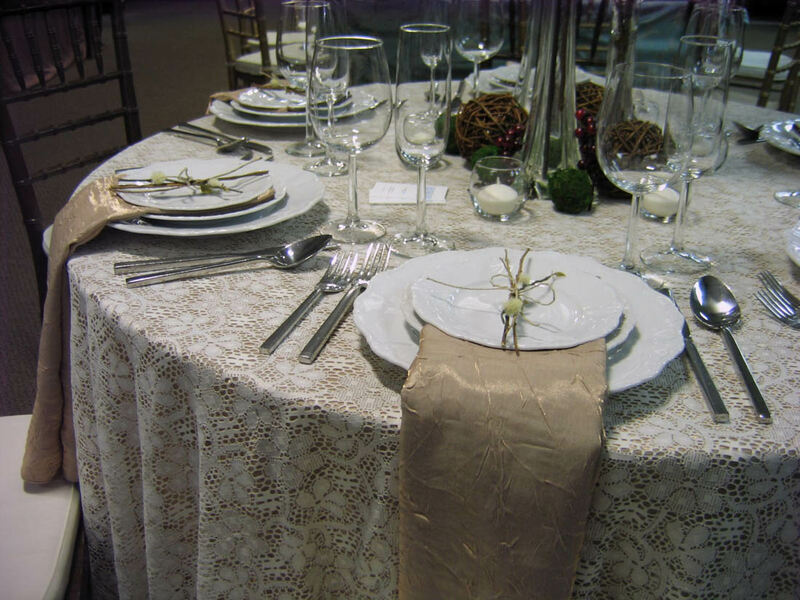 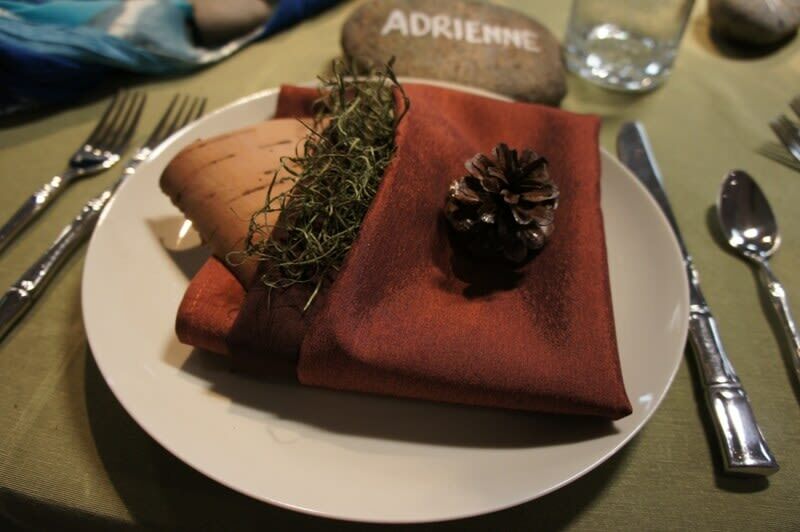 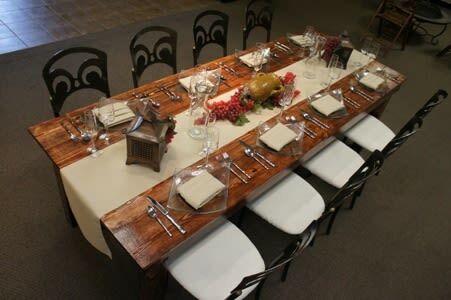 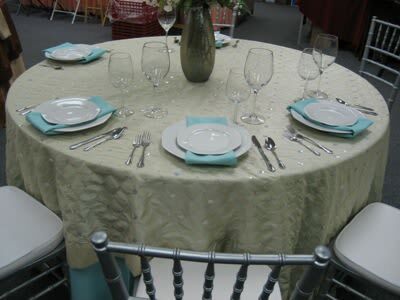 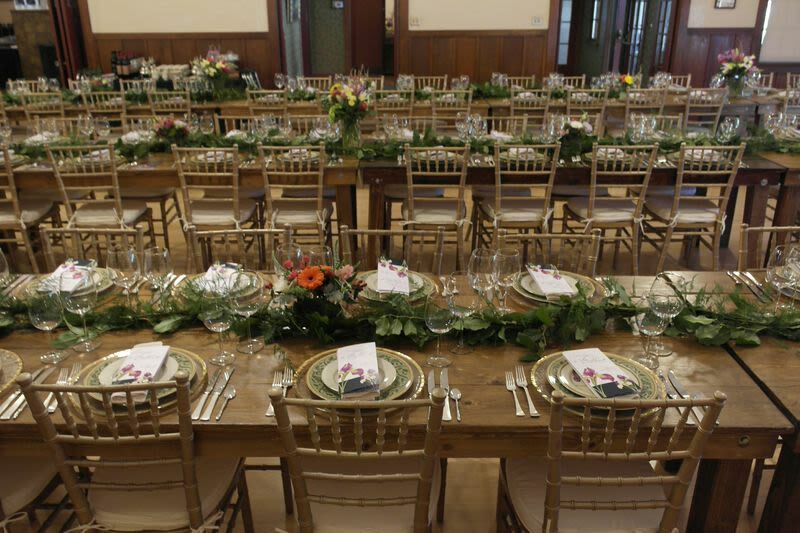 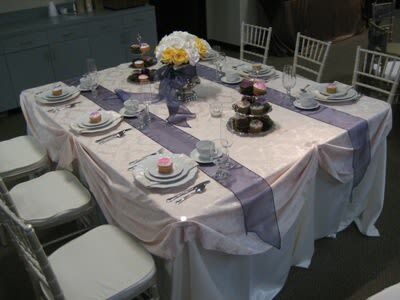 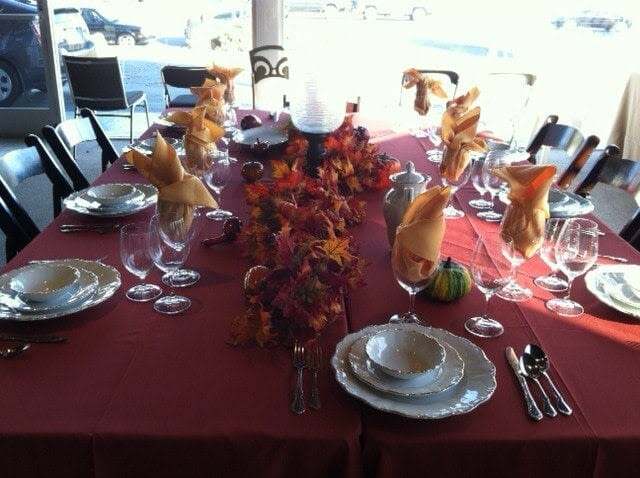 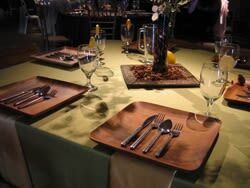 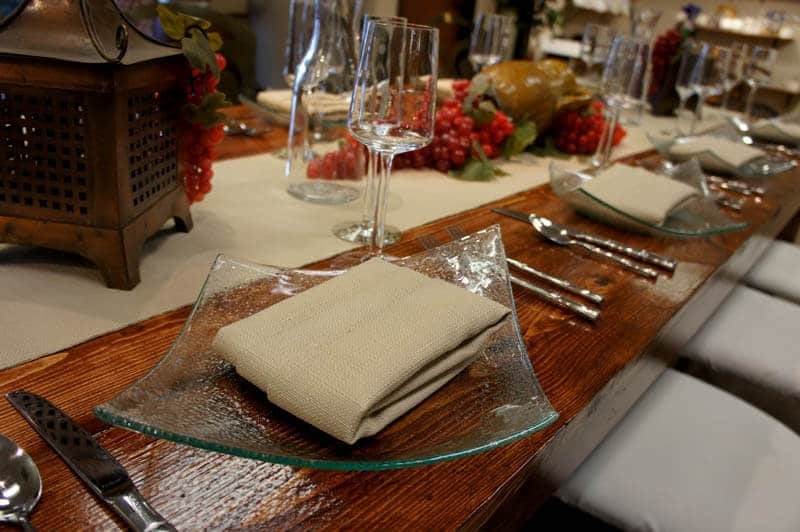 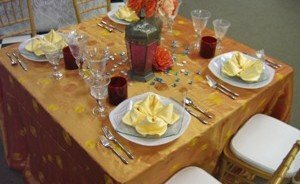 Using a Harvest table rental will maximize seating capacity, while laying the table with a rustic and casual table runner will offset the intricate glassware. 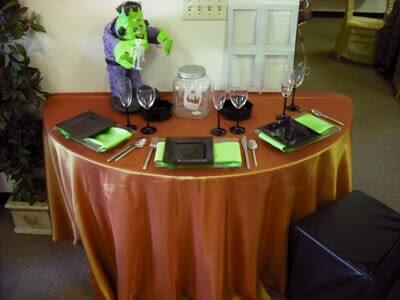 Add plastic spiders and long white candles to emphasize the Halloween theme. 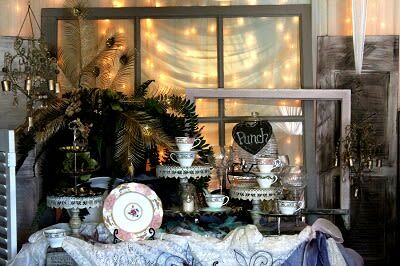 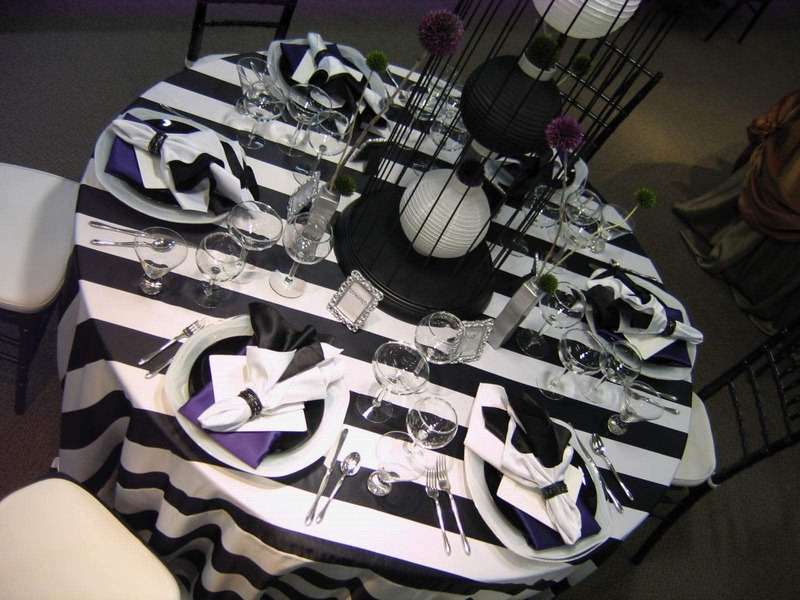 Perfect for a themed party, this table setting includes many pieces you would see at a Victorian dinner table – with a twist. 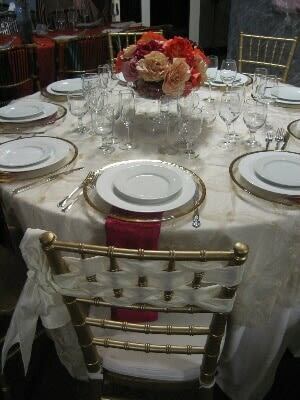 Our 4 Branch Gold Candelabra sets a spooky tone if you line them up across a table as the only source of light. 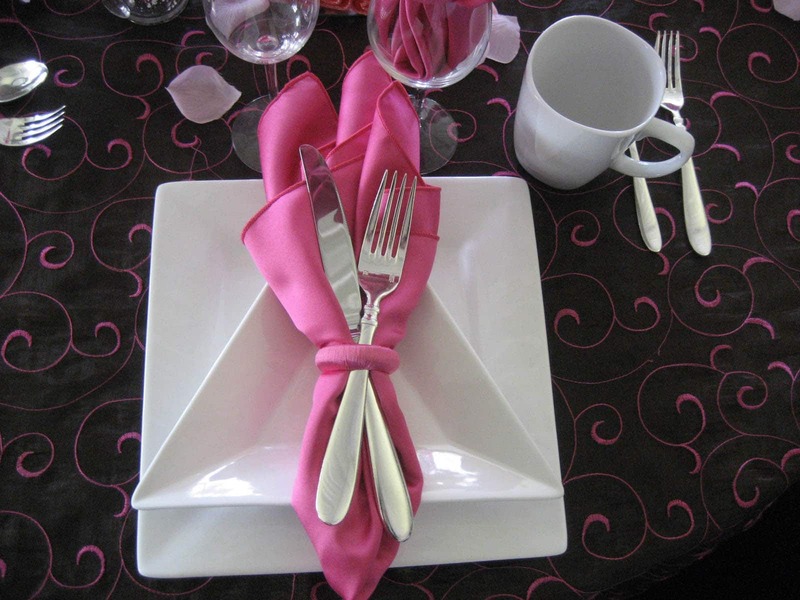 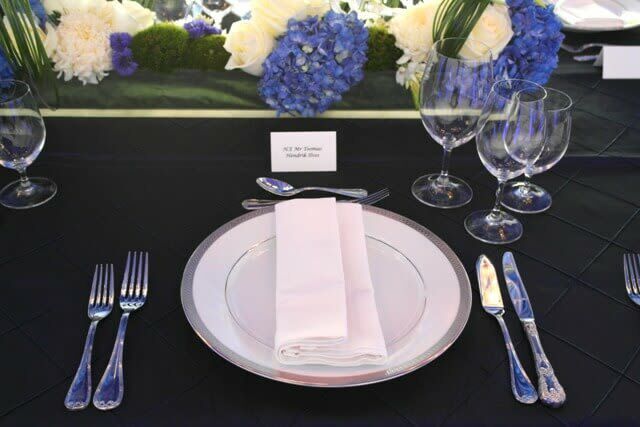 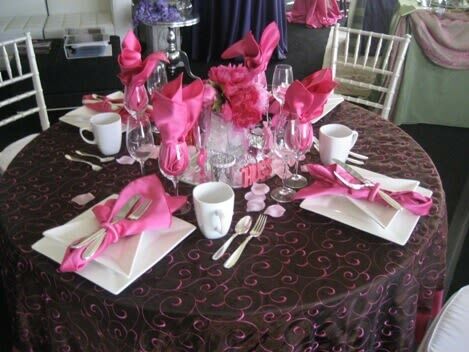 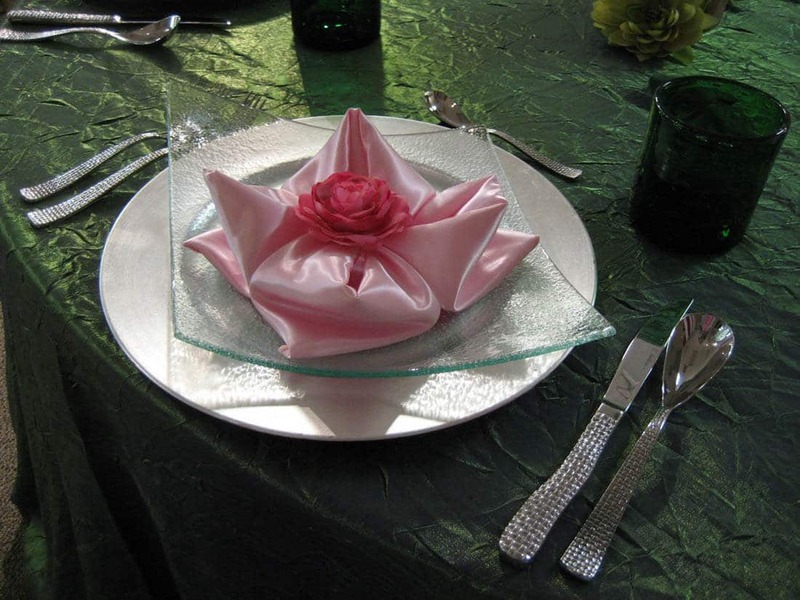 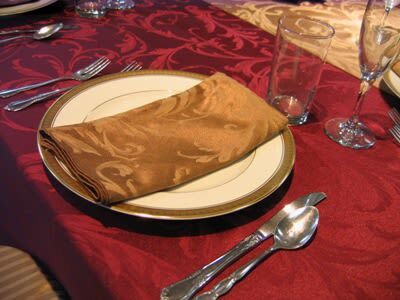 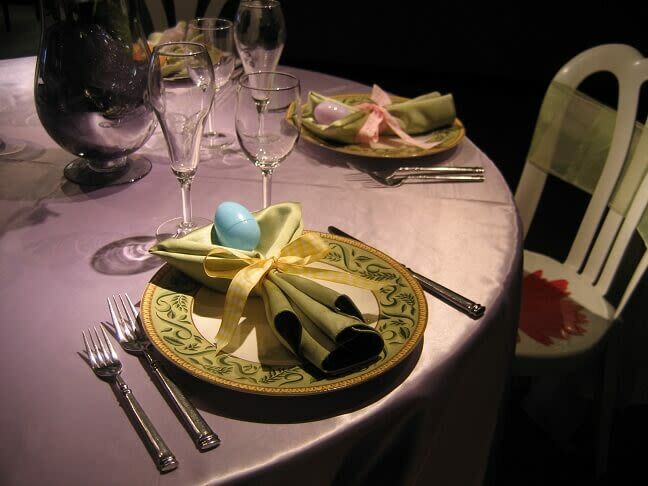 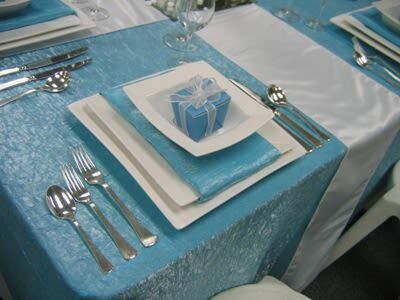 A creative idea shown below consists of placing silverware in a single black glove. 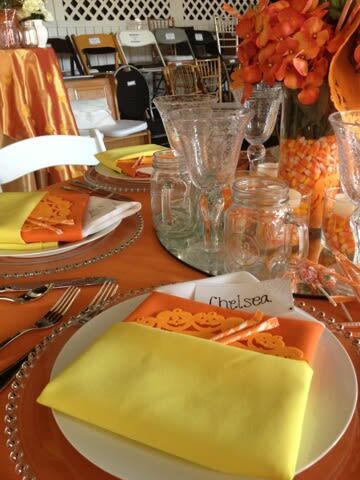 If you’re having a daytime event with a younger crowd, this tablescape gives you some ideas to setting up a playful yet still Halloween-themed look. 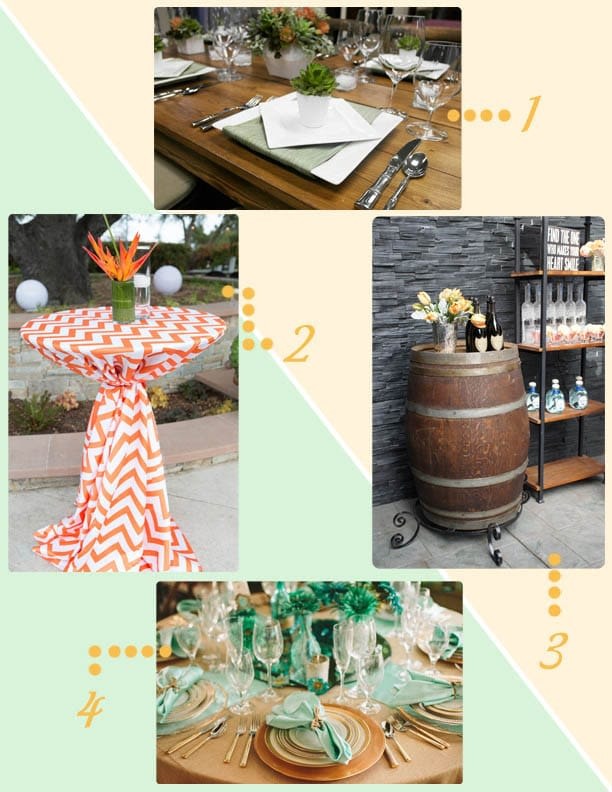 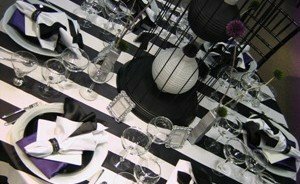 Black and white checkered linens are great for covering tables outdoors, while creating fun pattern contrast when paired with orange chevron napkins. 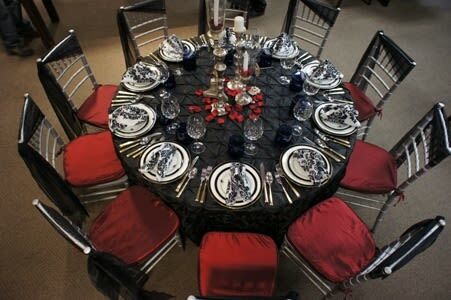 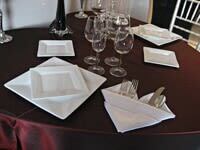 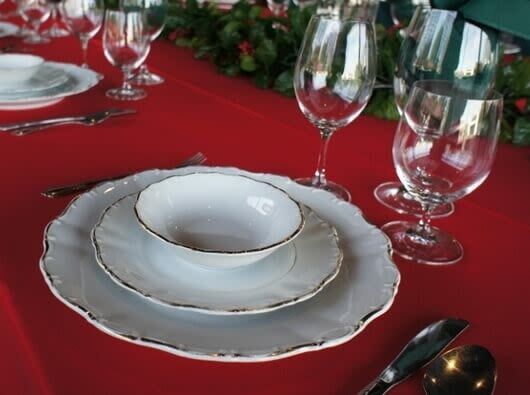 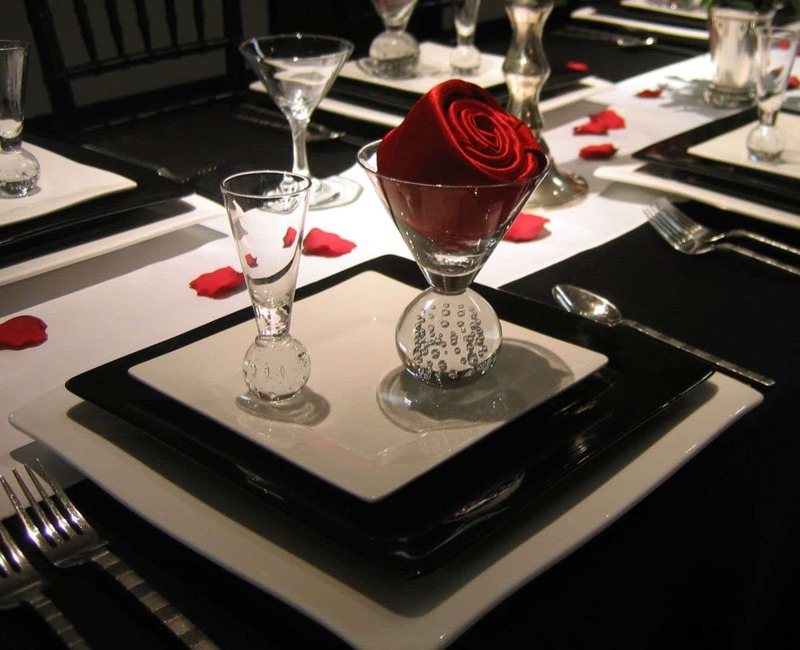 Pairing octagon and round china sets adds more visual interest and black accents. 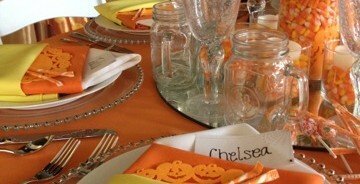 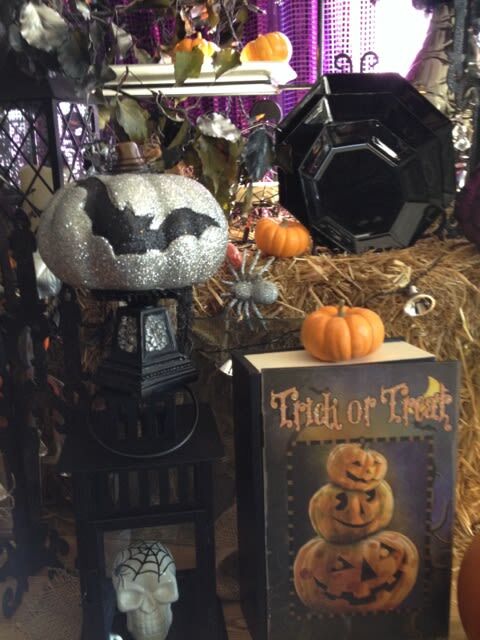 These are just a few Halloween party table designs and there’s always room to be creative and make them your own. 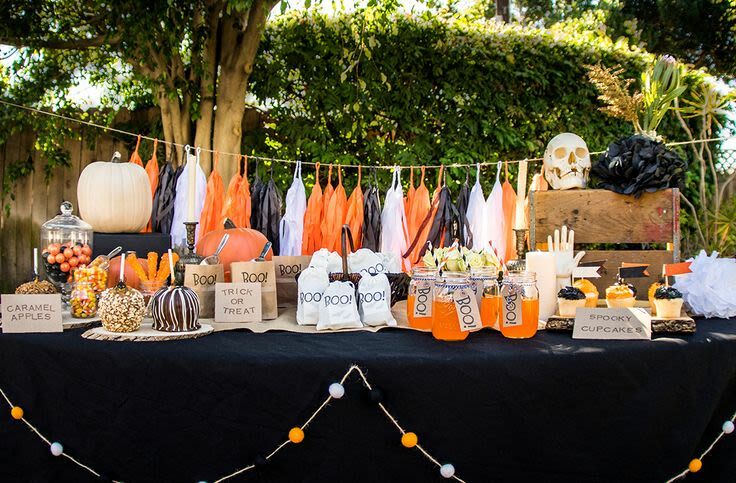 It’s all about making your own decorations, setting out lots of treats, and embracing the black and orange color scheme. 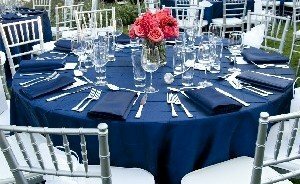 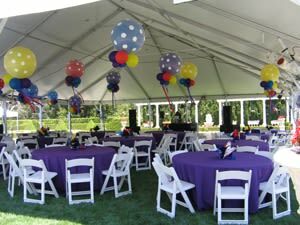 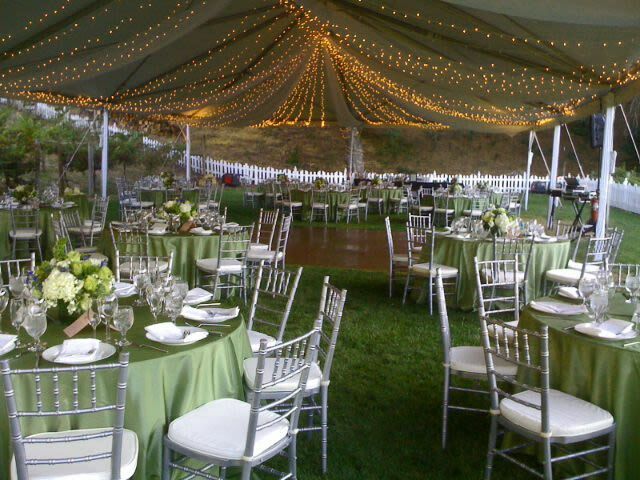 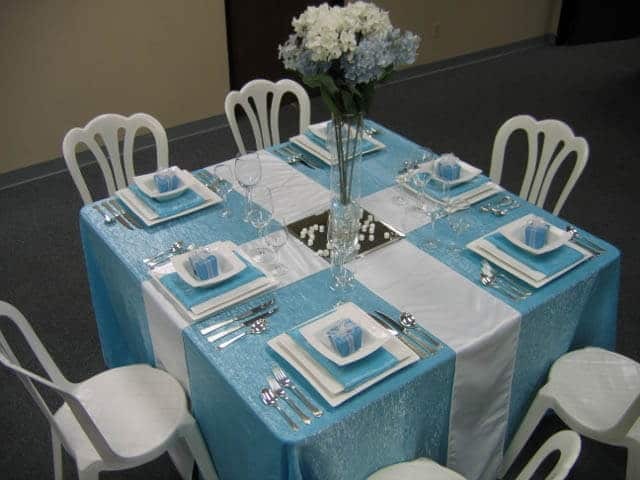 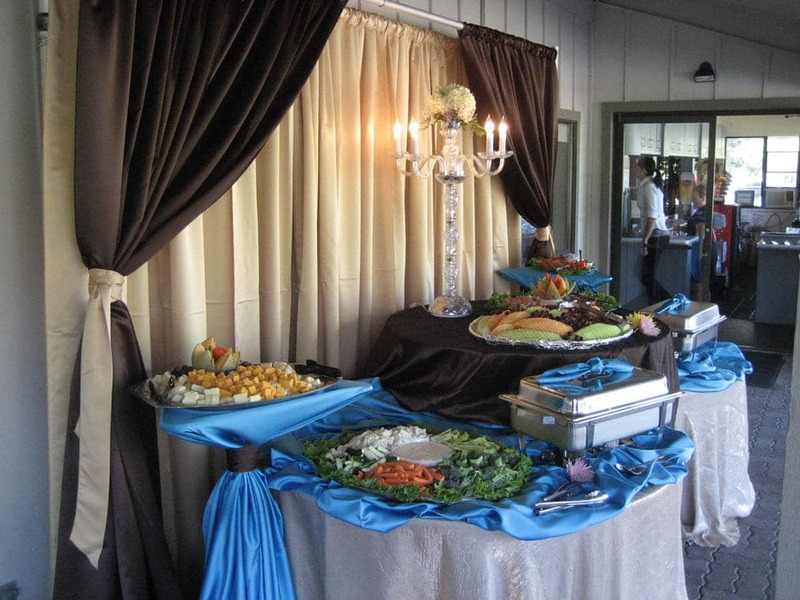 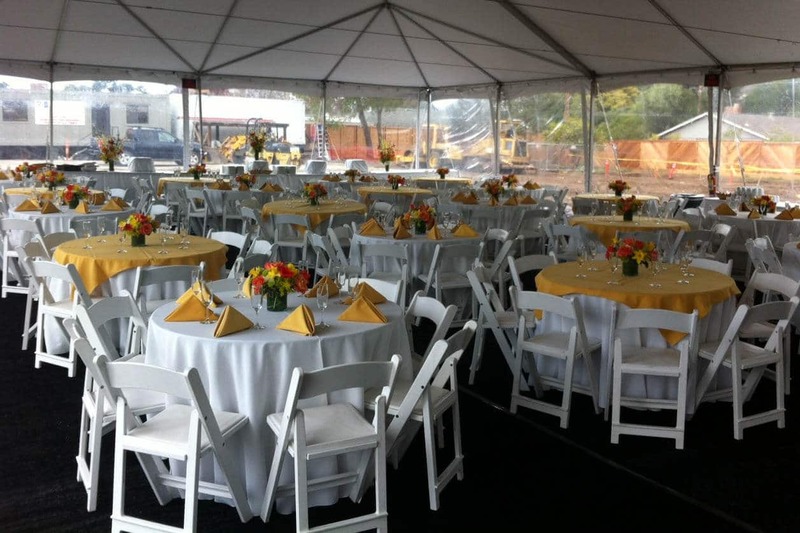 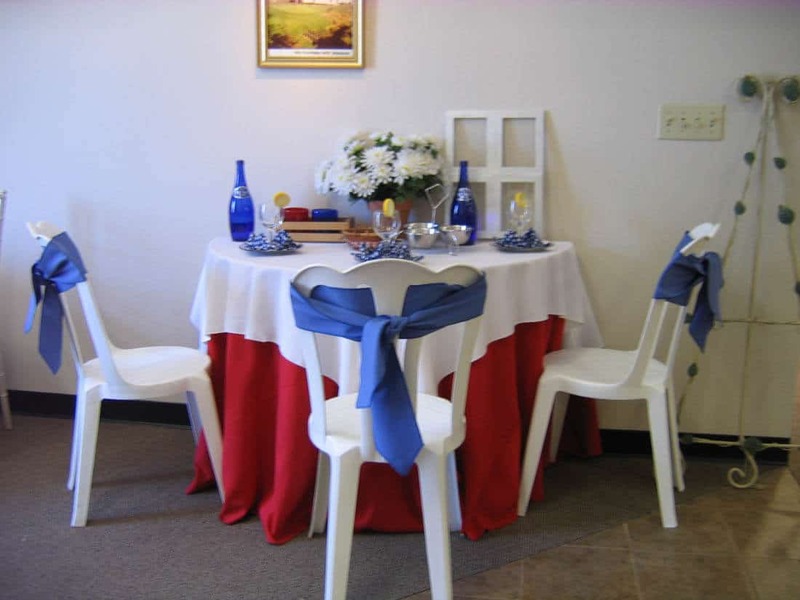 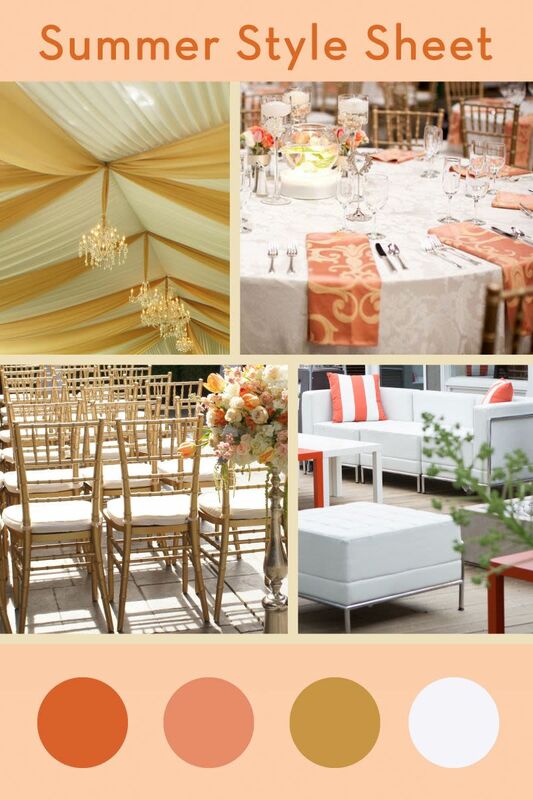 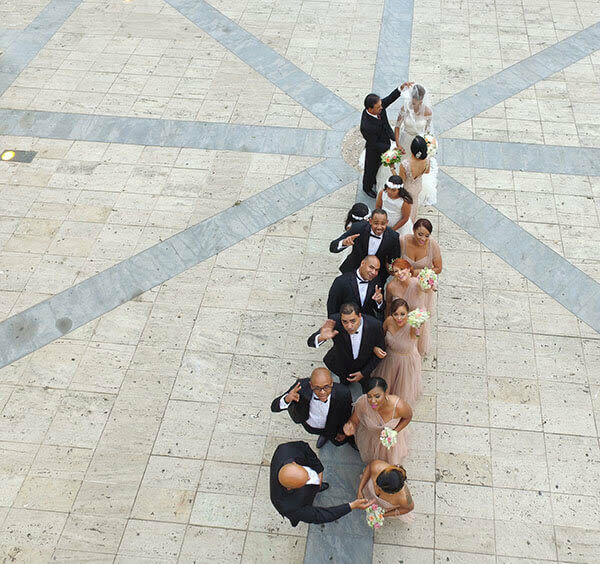 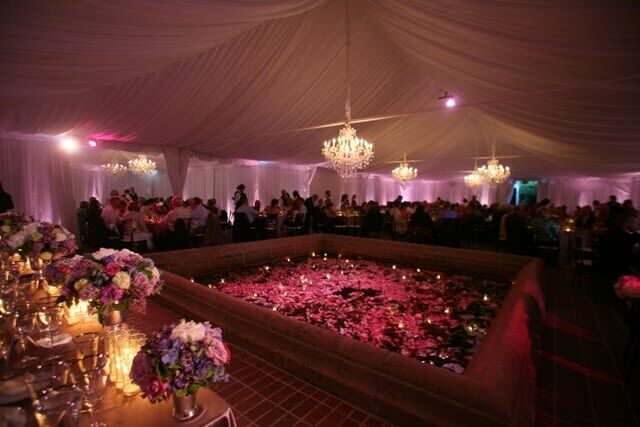 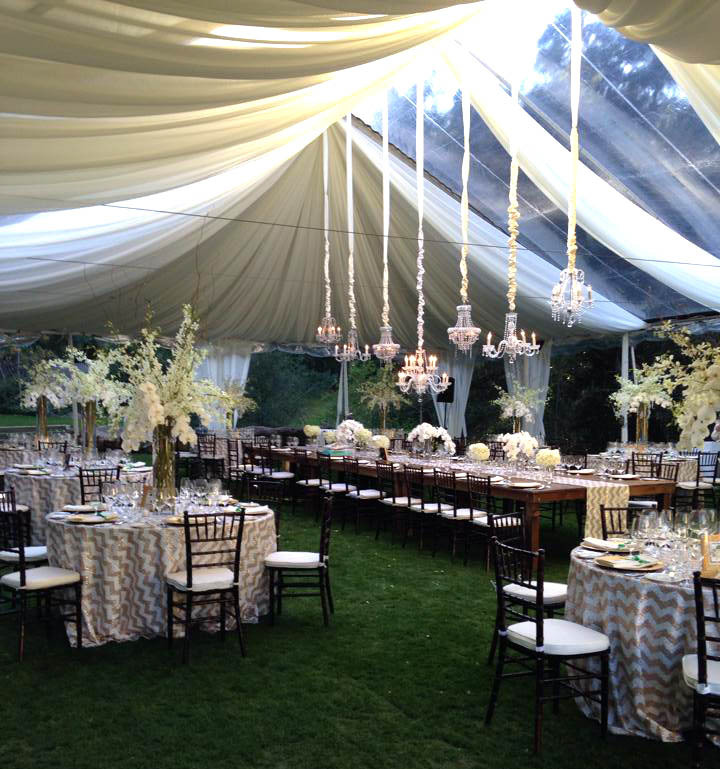 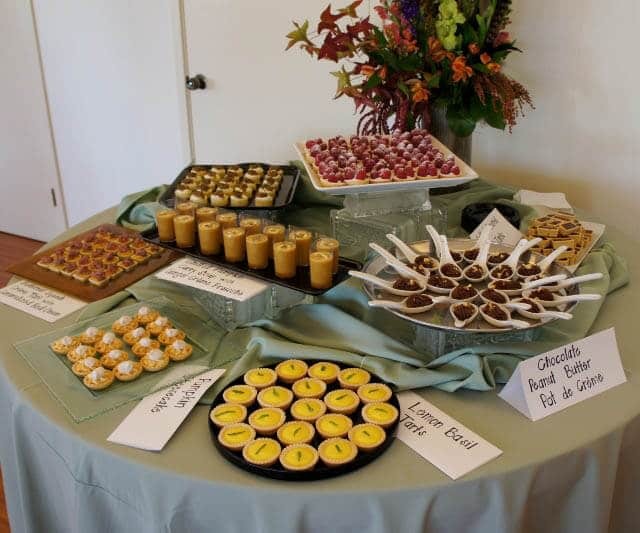 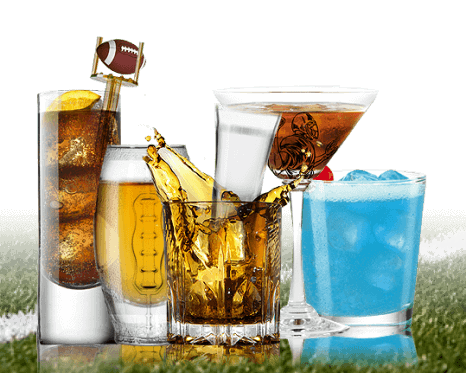 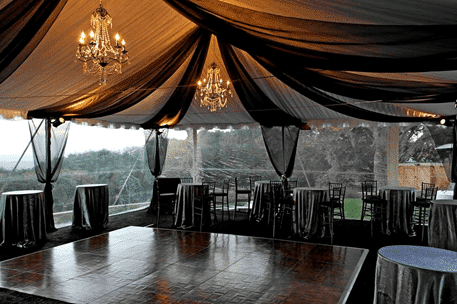 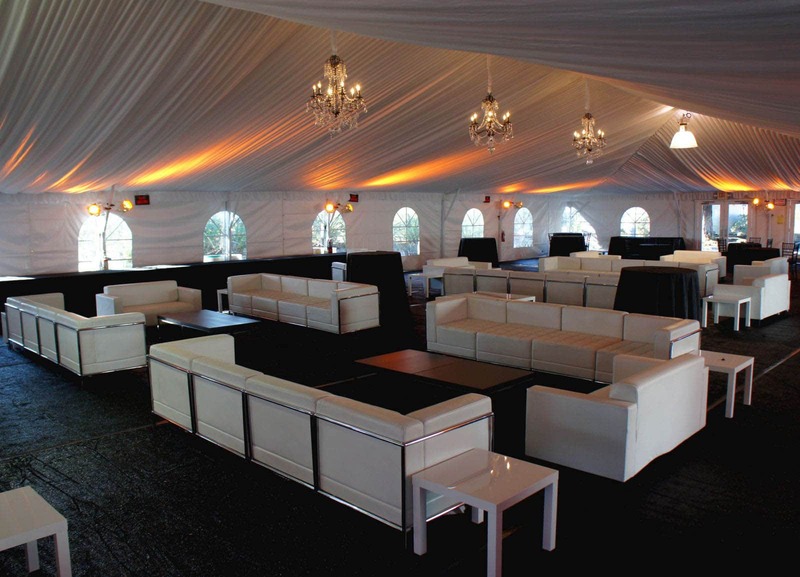 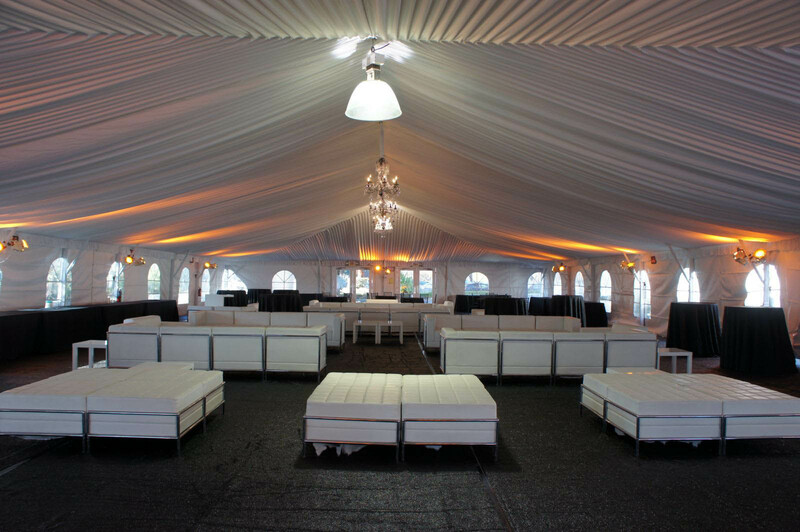 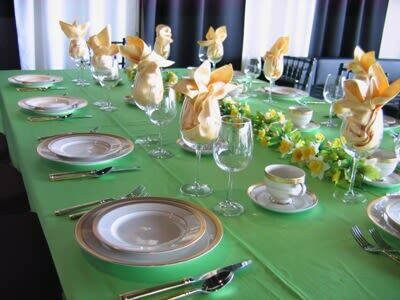 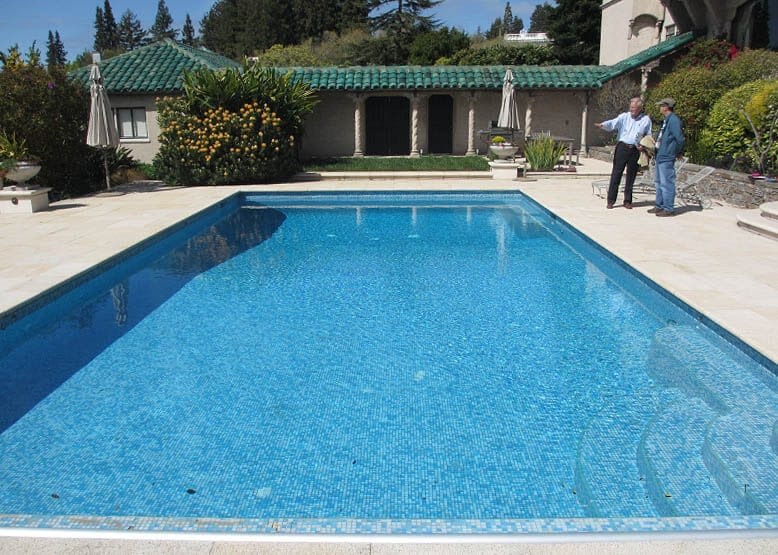 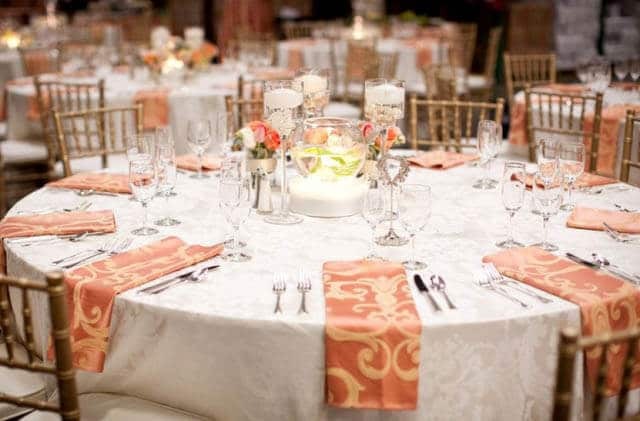 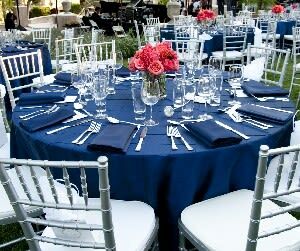 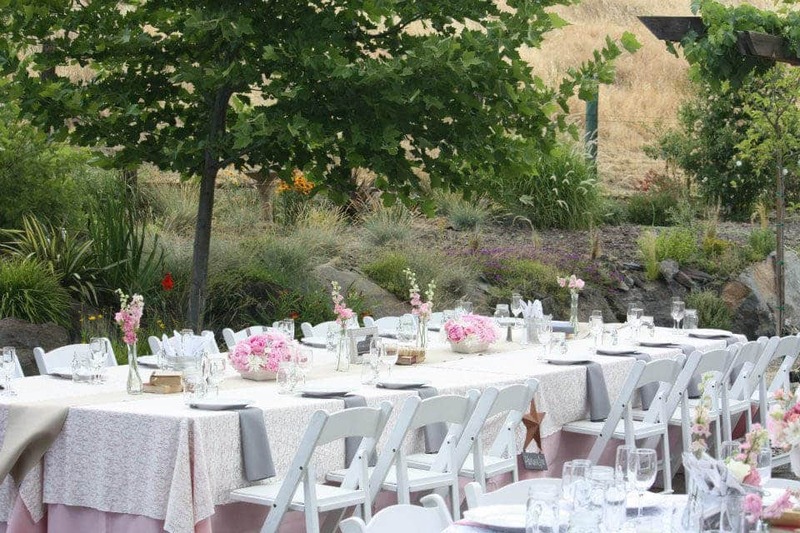 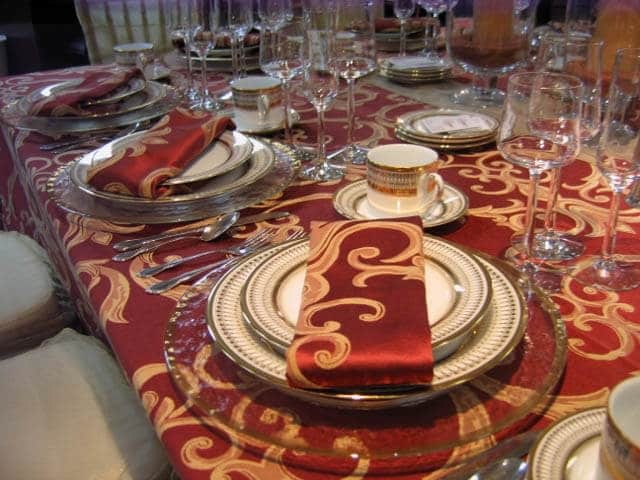 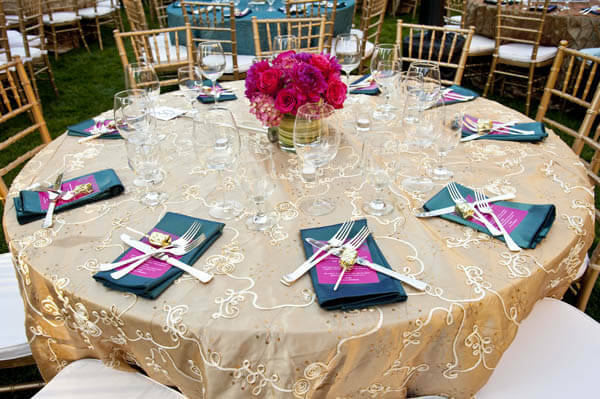 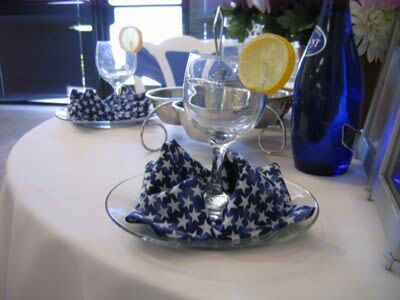 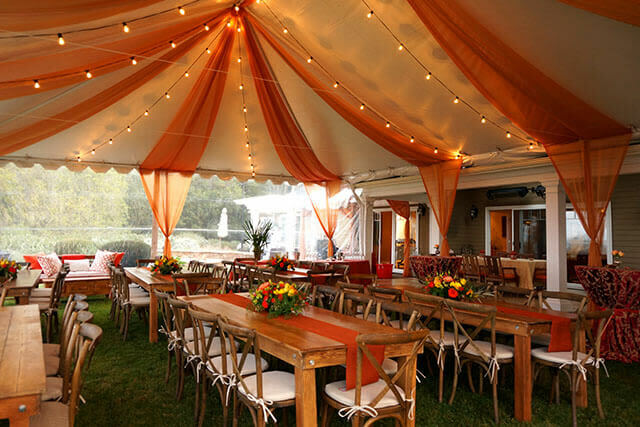 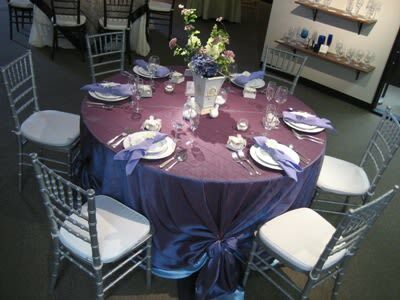 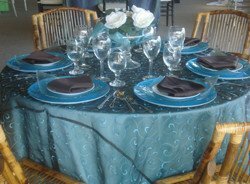 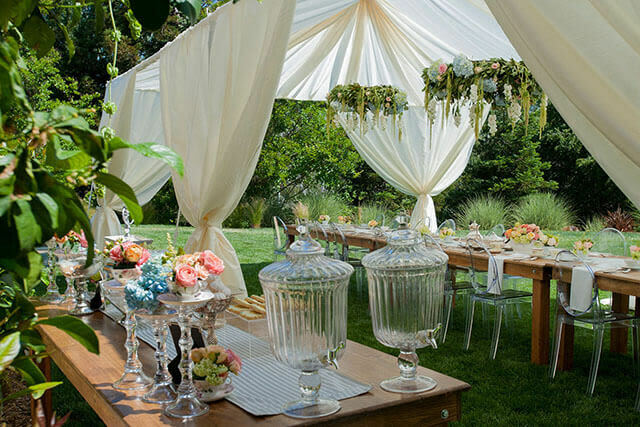 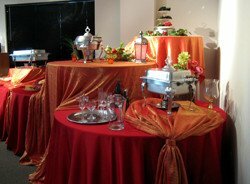 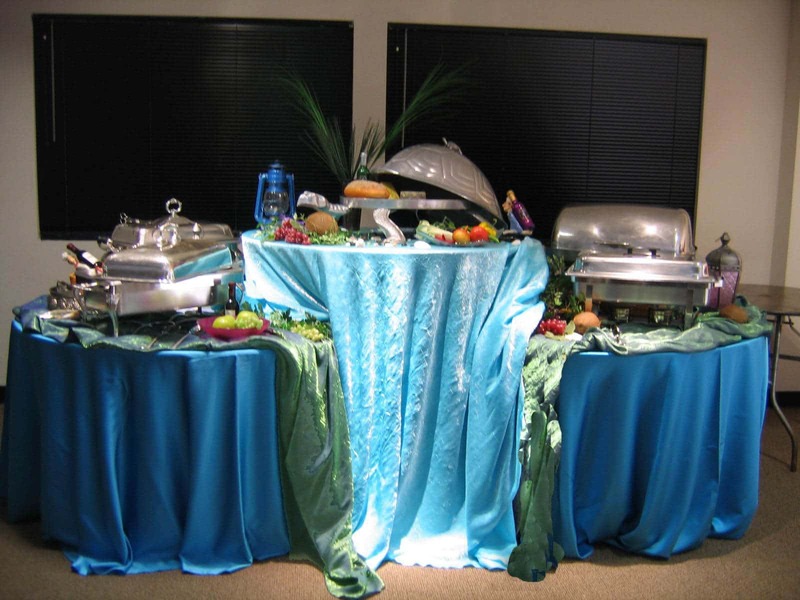 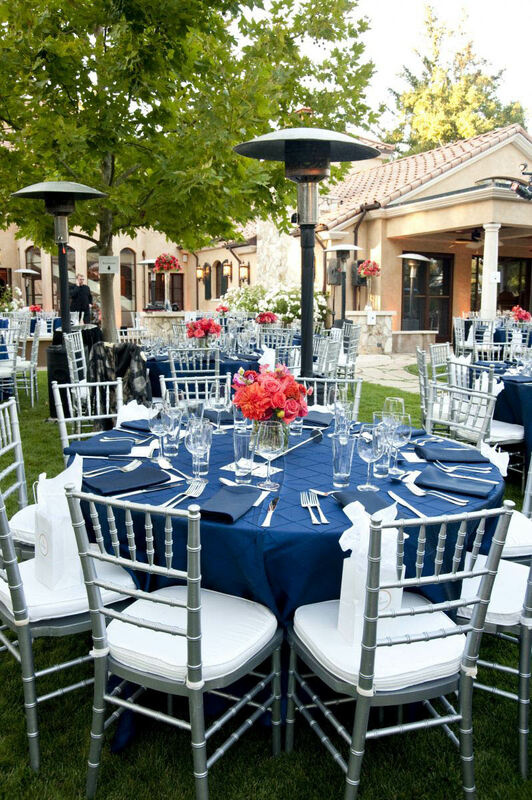 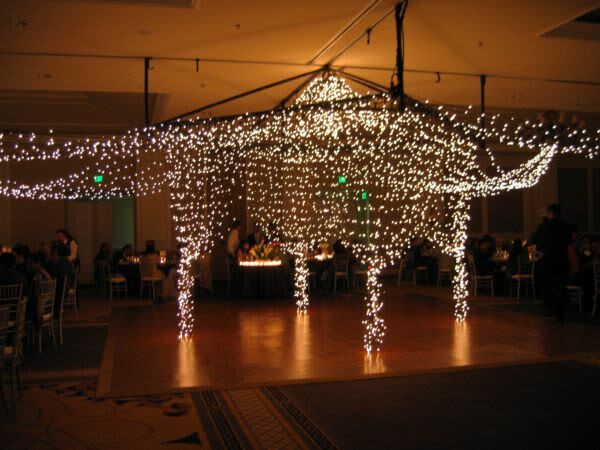 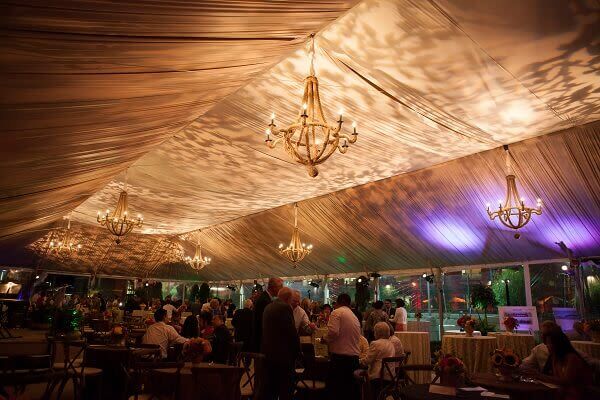 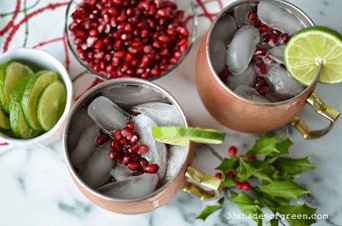 Start planning your event now but visiting our website to view our party rental selection, or call one of our Event Specialist at 1-800-400-0543.